Artist and curator occupy the Frontyard library for 2 weeks to rummage through its rich archive and create a collage a day. Text and images found in the library inspire conversations between the artist and the curator. Other people found in the space can take part in these discussion. 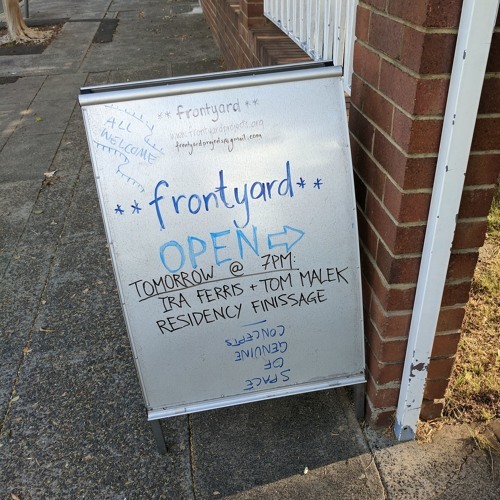 The whole residency is audio recorded - an archive of conversations, a preservation of ideas, and a collage of Frontyard's community. With thanks to: Julia Bavyka, Nicole Sutton, Caite Adamek, Trevor Brown, Emma Constantine, and Tessa Zettel.